Elder Xavier Maestas; Peru Lima East Mission: Week 2 in Peru! Well mama, only 97 weeks to go! hahah it actually sounds short when i say that so I'm good with it. Sooo my guts are probably just going to be like this for the whole mission! and that's alright, its not too bad, it's definitely from the stuff i eat all day, its pretty crazy! Every meal consists of some form of rice, chicken and potatoes, not much variety, very bland! I miss your cooking! Seriously though this week is 2 months out! how crazy is that! The mtc felt slow but these 2 weeks here have flown by! I'm glad you were able to talk to Eutimio! Tell him hello for me!! I'll tell you a few things from this week. So all the dogs here are not very chill, and they always give us crap, but the other day I was thinking about how President Jess said Nick would be with me and there is this one dog that always follows us around and is like the only good dog! It's really weird! We walk past and he just walks with us and barks at other dogs! Weird huh! That is so cool that you had the special needs mutual! I wish I could have done that! seriously such an awesome thing! hahaha it sounds like a blast! You guys seriously are the best, you are the best family and the best people I know. Gosh I love hearing about what's going on at home! Its only for a minute but its so nice! I can't really think of anything for you to send me! I have pretty much all i need! Maybe some slim jims cause they don't have that stuff here! something spicy! I freaking miss the food so much at home! I crave it every single day, it's hard eating freaking bland stuff! haha! Everything is going well and i think that we will get to go to the temple every transfer at least once! pretty cool! just a few more things I'm doing! I'm going to be teaching an English class to people in the church! it will be pretty fun!! we tried to clean the room but seriously its impossible to keep clean, our window in the back is like broken and dust just flies in so I'm getting used to being dirty! oh and the cockroaches! we made it so that they can't get into our room cause we stuffed the holes but we can see all their little antennas sticking out of the wall...pretty sketch. I'm sure i will get over my fear of bugs here, theres crap everywhere!! Money in my mind is getting messed up, I bought a ice cream the other day I thought was a rip off but guess how much it was.. like 75 cents.. haha oh boy! We finally figured out how to get warm water and we will be doing that this week! I just can't believe how people live here, you have no idea, and they don't even know its bad!! We are so busy, I wouldn't even have time to write letters if i knew where to send them!! just so nuts, everyday is a blur which is good! I love you so much and miss you a ton! I can't wait to hear from you next week! Tell everyone I love them! I love you all so much, just know I'm okay! Love you my family! At least the golf course looks nice! Xavi's Pensionista - She prepares his meals at her place!! Look at that place! Xavi and Elder Dias have found 17 people that are interested in the church! They just need to get married. 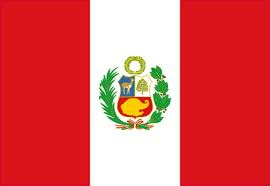 Everyone in Peru are living as couples and have children but many of them are not married! He said that Sunday they had 6 investigators come to church! Now that is exciting! He really likes the cool Volkswagens! His house looks like a kit kat bar! ;) The stories are great! !